Located in Cape town, this dog-friendly offices presents a range of modern office solutions designed to be comfortable and functional for professionals. The terms are flexible and with affordable membership you will also benefit from a range of in-house amenities including printing, copying and scanning facilities. High speed WiFi will keep you connected at all times and you can make use of a great outdoor terrace area. The centre is close to public transport links and plenty of local amenities including hotels, eateries and shopping. Offering a range of comfortable and efficient office spaces to suit the requirements of your business. The business centre has its own dedicated entrance. As well as being known as the most scenically attractive and historically preserved town in southern Africa, Stellenbosch is a centre for ‘clean' industry and is a sought-after location for business, ranging from entrepreneurs to major international companies, many of which have their head office in the town. Within the CBD node of Cape Town, this clean A grade office suites overlook the stunning Table Mountain. There is parking within the building on ground level while the offices themselves are well lit with ample natural light. Office suites are A-Grade, fully airconditioned, with 24 hours security, CCTV, on-site garage parking. In-house cleaning is also available. Within the immediate area, you can also find a great range of art galleries and green spaces in which to relax during lunch breaks. This modern, stylish furnished office in Century City allow businesses to focus on their productivity, and not on hassles of purchasing and moving furniture. This affordable working solution ensures smooth daily operations for your business. The flexible leasing solutions in Cape Town are ideal for a small, medium or large company. The prime business location offers furnished office space in a variety of sizes to suit any sized company. This space is also a short drive from the Canal Walk Shopping centre, where you can find a huge variety of shopping outlets and fast food restaurants to enjoy. The centre offers many different services including high-speed internet, spacious meeting rooms, day offices, business lounges and disabled facilities. This highly accessible centre is the perfect workspace solution for forward-thinking companies. Located just outside of the city centre this business centre is home to contemporary and modern office solutions. You can choose from a selection of workspaces including furnished and unfurnished offices, collaborative coworking spaces and virtual office options. Facilities and benefits include all-inclusive fee, 24 hour access, administrative support and high speed internet. A friendly team of reception staff will handle your mail, greet your guests and answer telephone calls. You can scale your workspace up or down as required. There are several amenities in the area including high end shopping, restaurants, cafes and bars. Buses pass through the area frequently, giving you easy access to the rest of the city. This highly accessible and well serviced centre offers comfortable offices, a business lounge, multiple meeting rooms, as well as high speed internet access. This centre has both corporate and leisure applications, highly adaptable for whatever your business requires. Outside of a centre you can find a range of shops, cafes, restaurants and entertainment venues to explore at the end of a hard day's work. Available on a flexible occupancy basis, this centre is situated in a vibrant, modern and socially-diverse area of Cape Town- well known for its high footfall, wide range of popular local amenities and bustling atmosphere. There are conference facilities, spacious meeting rooms, on-site management and a main reception area for you to use at your disposal. It offers an ideal range of workspace and amenities, with an abundance of natural light and exceptionally high quality interior features. Your business will surely flourish under unparalleled conditions are this impressive workspace solution. This centre enjoys a prestigious position in a world-class lifestyle centre, which is home to businesses that include banks and large insurance companies. This is a pleasant business environment, offering a range of workspace solutions to suit your individual needs. Within walking distance, you can find an abundance of shops, eateries and public interest hot spots to enjoy. Close by, there are many hotels in which you can accommodate your guests. An impressive centre situated in the heart of Cape Town and providing a range of useful service to be taken advantage of. These include high-speed internet, communal business lounge access, reception area and serviced meeting rooms. Offices are also available on flexible terms and arrive fully furnished with great access to natural light throughout the day. In addition, the centre is easily accessible through public transport links including plenty of bus, train and road links. The Cape Town International Airport is also located a short 15-minute drive from this prestigious centre. Local amenities can also be found in abundance including restaurants, stylish bars and hotels. This landmark building offers stylish offices, modernly designed and decorated with great attention to details. Located in the north part of Cape Town, this area is quickly growing to become one of the most dynamic districts of the city. It hosts offices, companies, shops, leisure facilities and restaurants. Well connected to the international airport, this area benefits from excellent transport links and is easily accessible. 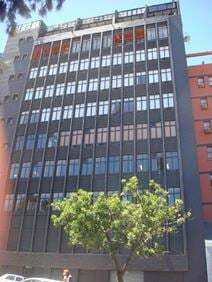 Centrally located in Cape Town, this business centre offers fully furnished offices equipped with business lounge, meeting rooms, secure parking facilities, 24/7 access and on-site restaurant to offer you a fully serviced and efficient working environment. Furthermore, there is dedicated internet connection available in order to facilitate immediate business, whilst a reception desk is also available to greet guests and clients with increased professionalism. Excellently served by public transport, it is surrounded by shops, restaurants, banks, offices, hotels, cinemas and theatres. This hotel location in the centre of Cape Town benefits from access to amenities including a gym and is surrounded by an abundance of shopping opportunities and eateries. The centre itself offers great office space and spacious meeting rooms. 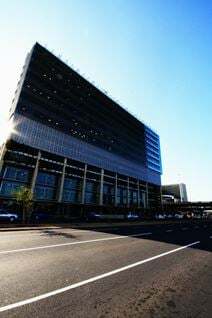 The centre is also accessible 24-hours a day and is well situated in central Cape Town surrounded by useful amenities including bars, restaurants, hotels and shops. The transport links surrounding this office space are also numerous and well connected, however most things are accessible within walking distance. Opening soon on the Dock Road junction in Capetown this business centre is located in a prime area just by the Waterfront. The building is a newly renovated heritage building, offering modern and contemporary office solutions. All workspaces benefit from excellent facilities and state-of-the-art technology - including 24 hour access, printing and copying facilities, phone lines and reliable internet. The space is spread across 7 floors including a reclaimed basement. You will also find an on-site cafe where you can grab your lunch, some snacks or a coffee throughout your working day. The area is ideal, offering you and your business high visibility. There are plenty of other businesses in the nearby area, allowing you to network within the industry. This brand new business centre is located in a modern building in the prestigious neighbourhood of Claremont. The centre offers a variety of innovative spaces which benefit from excellent facilities and infrastructure - as well as stunning views of the city. Offices come beautifully furnished and full of character, with lots of natural light to promote productivity and energy throughout the space. You can choose alongside like minded individuals in the open collaborative space and easily book meeting rooms with the use of an app. There is a restaurant on-site on the ground floor offering a range of healthy meal and snacking options to keep you going throughout the day. The public transport options in the area are excellent with Claremont station within walking distance. Close to the Claremont Central Business District this newly renovated flexible office space is built around the Villagers Rugby field allowing for an abundance of natural light. The centre provides quick and easy access to both the M3 and M5. This space offers 24-hour hour access and provides constant security services; as well as breakout space, administrative support, videoconferencing, secure parking, an on-site management team and a professional reception area. A stylish centre situated in a vibrant and trendy environment, providing a range of furnished offices available on flexible terms. The area is home to plenty of local amenities and trendy locations to enjoy time spent outside of the office. Whilst in the centre, tenants benefit from ultra fast internet, spacious meeting rooms, 24-hour access and conferencing facilities. In addition, the area is well connected via road, rail and air links - allowing your developing business to meet clients easily, and accommodate overseas guests and clients. The Cape Town train station is situated right at your doorstep, whilst the Airport is also easily accessible. This centre is situated in central Cape Town, with easy access to all major bus routes. The centre provides scalable workspaces in an environment conducive to productivity. Close to restaurants, shops and more. This space is accessible 24 hours a day so is well suited for any working environment, especially for those with international contacts. Close by, there are many restaurants and hotels in which to accommodate guests. A stylish business centre that can be tailored to suit individual requirements, set within a modern building with great access to a wide range of professional services. 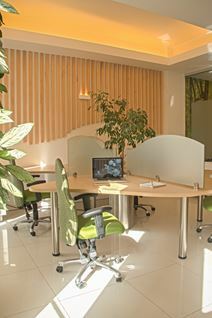 Offices benefit from high-speed internet, reception desk and luxurious business lounge. Here, the work-spaces maintain great levels of natural light further increasing the serenity of the environment. The area is home to many local amenities including plenty of outdoor activities, wine-tasting and local restaurants to enjoy outside of working hours. Transport links are also numerous, with the local Train Station located at your doorstep. This attractive business district consists of a selection of office spaces offering ideal office solutions to companies and entrepreneurs. Equipped with meeting and training rooms, videoconferencing facilities, business lounge and parking facilities, they provide virtual office solutions and a full range of other services to accommodate any of your requirements. Located in the southern suburbs of Cape Town, these offices enjoy a stunning view over the river and the surrounding area. They are well connected to the major motorway junctions, easily accessible and surrounded by hotels, restaurants, banks and leisure facilities. 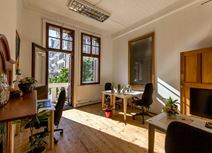 This buzzing coworking space is in a beautifully renovated building in the East City District and provides great views of the city and Table Mountain in one of the most vibrant areas of Cape Town. The Company Gardens is less than 10 minutes walk from the building, making a lovely place to have your lunch. Within the centre's immediate locality, you can find several museums, historical landmarks and the Castle of Good Hope. Here, memberships include; superfast (100mbps) unlimited fibre internet, meeting rooms, common space, kitchen, terrace and event space. Located on Spin Street in the heart of Cape Town the space is easily accessible by both car and public transport. Three-minutes walk away from the offices you'll find Plein Street car parking. If public transport is something you use more often you'll find Cape Town Train Station an 18-minute walk away from the space. This impressive Art Deco building is located in the very centre of Cape Town's central business district and provides quick and easy access to many cafes and restaurants. Offices are modern with high-quality finishes and have large windows to allow for lots of natural light. Within walking distance, there is an abundance of museums, art galleries, fashion retailers and historical monuments to observe.